This is a modern house now, however there was a cob and thatched house here, joined to 3 The Row. But, despite that, this site has an almost entirely different history from The Row. The present boundaries are the same as in the 1700’s, and for probably many years before that. 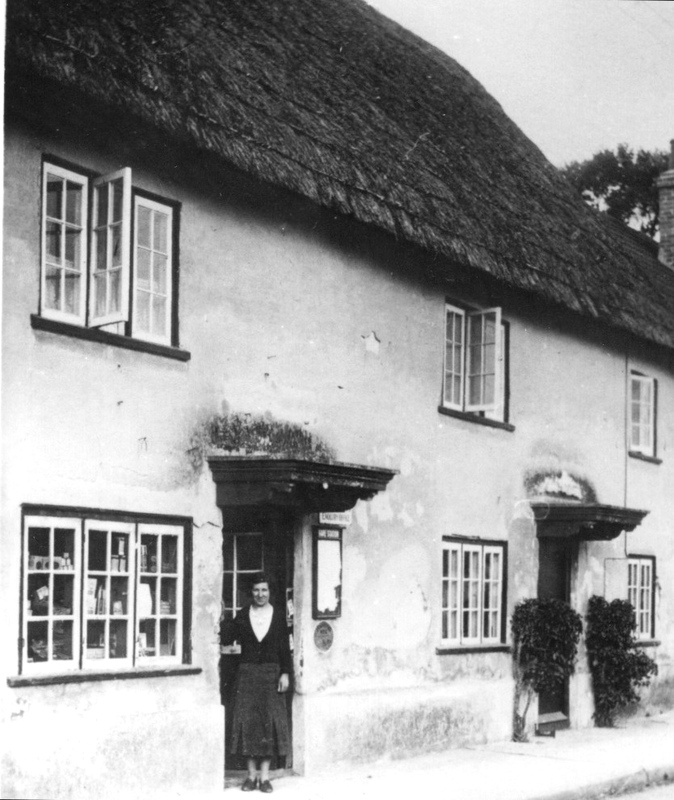 On 23rd July 1778 Henry Giles was granted a new lease to this property by Lord Malmesbury. Previously it had been held by the Elys. Mary Ely had died in 1765 and John Ely in 1775. He stayed until about 1810. Then James Kellow lived here. He was one of the younger sons of James Kellow of Asserton. James, the younger, was a yeoman farmer, and he and his wife Mary had two children, John and George. 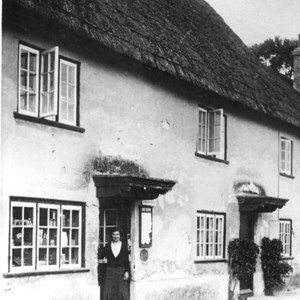 James did not inherit the leasehold of Asserton Farm, that went to his brothers Thomas and Charles. In the 1840’s James Kellow continued to lease “Giles late Ely’s” but no longer lived here. James Morris, a carpenter and joiner, moved in with Maria his wife and his children John, James and Ann. His son James died in 1844 aged 17. Something happened to James Morris for by 1851 he had gone blind and was running a general shop from here, whilst his wife Maria ran a school upstairs above the shop. In 1851 they also had a lodger, Elizabeth Miles, an elderly pauper widow. Maria died in March 1856 aged 63 and James in May of the same year aged 69. Their eldest son John emigrated to Australia, and died in Adelaide in 1900 aged 75. The Kitleys ran a shop here too, after the Morris’. Tom Kitley had been born in Berwick in May 1852. His father Frederick was a shoemaker, and he followed his father’s trade. 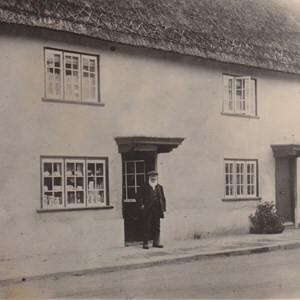 On 22 May 1876 he married Sarah Ellen Barnes in Amesbury and she ran a grocery shop here, whilst Tom continued shoemaking. On July 11th 1881 Tom Kitley was appointed subpostmaster for Berwick St James. This house remained their home and business for over 60 years. 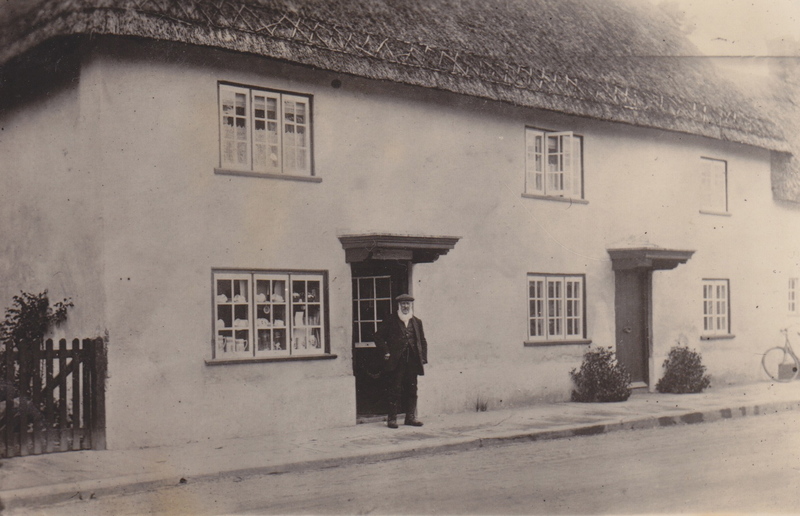 They ran the Post Office and Shop until Mr Kitley retired as subpostmaster on 30th April 1929 being the oldest subpostmaster in the Salisbury District. They continued to run the shop for many years. Tom Kitley’s salary from the Post Office was £8 6s 0d in 1898, and £10 in 1906, and he received an extra 4s 3d for being the postman. In the 1921 Berwick St James Post Office was a 3 bedroom cottage with Grocers Shop and Post Office on the ground floor, and with a good garden and good well water. Tom Kitley bought it for £250. Mr Kitley was also a school manager for both the schools, secretary of the Reading Room for 40years, treasurer of the Pig Club from 1910, churchwarden for nearly 40 years, Parish Clerk and in 1872 aged 20 started his duties as a sexton. He died in January 1940 aged 87. The Chisletts then lived here until one morning in the 1950’s when the front of the house fell into the road and the rest of the house had to be demolished.